Ketogenic diets have grown in popularity, and whether you’re adhering to one because of a health condition, fitness lifestyle, or personal preference, you may experience a number of side effects from this dietary choice. While experiencing unpleasant side effects might make dieters frustrated and want to quit, there are very simple means of addressing these and getting yourself back on track. Here are a few tips for overcoming some of the most common side effects of a ketogenic diet. No one enjoys breakouts, especially the kind that never seem to go away! Unfortunately, many people experience acne during the adaptation phase of the ketogenic diet. It makes sense; your body is changing dramatically in ketosis and that means some of the initial reactions will be more negative than the ones that will develop over time. If you experience acne, treat it gently with natural cleansers and try not to pick at it. It will go away in time if you stick with the diet. One tip I’ve gotten a few times this winter is to use tea tree oil to treat spots. I never had tried it before and I really like it! it’s not as harsh as spot acne treatment, but it’s also not so mild that you don’t see any results. Plus it smells nice and doesn’t contain chemicals, so there are a few wins for this remedy in my book! I get my tea tree oil very affordably at Whole Foods. Keto breath is a common early symptom of ketosis and is caused by the ketone release through your breathing. Some people may choose to brush their teeth more or chew gum or a natural breath freshener to minimize the effects. It’s important to note that this symptom is not caused by the mouth but by the lungs, so it may not be possible to eliminate it entirely. Fortunately, this symptom is part of the adaptation phase and goes away after a short time (1-2 weeks). There are all kinds of tips for masking the breath, but I think the most effective is “chew gum.” It’s not really coming from your mouth and it’ll go away soon. No need to take such drastic measures. For me, I noticed it for a couple of days and then it disappeared very quickly. Dehydration is treated with water and electrolytes, which help your body retain the water. Choosing the right kinds of minerals to consume can also help alleviate the symptoms of dehydration. Add pink Himalayan salt to your diet! At my house, we got a few packages of Nuun electrolyte tablets so that we could all stay hydrated in ketosis. We liked them a lot! Because a ketogenic diet requires your body to fuel from a different source than what it’s probably used to, you may experience some weakness, exhaustion, reduced physical strength, or even reduced cognition. This is a passing symptom. Once your body grows adapted to its new energy source, this symptom should go away. One option for dealing with this can be consuming more fat. Eating an avocado may potentially help! Keto flu is one of the most common side effects of the ketogenic diet, and it’s exactly what it sounds like. Most people who experience keto flu feel as though they have a flu-like illness, with symptoms like runny nose, headache, aches and pains, etc. A means of remedying this situation can be eating more frequently (have a fat and protein rich snack every 3-4 hours) and ensuring that you drink electrolyte-rich beverages to reduce dehydration. For me personally, a ketogenic diet has done wonders for a number of symptoms I struggle with due to my autoimmune disease. I have found the diet to help me increase my calories without increasing my food intake to levels that I can’t manage. I’ve lost weight, especially bloat, and I’ve experienced increased strength and brain power. I don’t think the results are necessarily typical because I’ve heard different reports from many different people. Everyone has their own way of responding to a diet. If you’ve tried or are trying keto right now, what are your experiences? I always love to hear what others have to say about their experiences in the realm of better nutrition. My friend who has also been doing kept, recommended this book to me and it’s been a great resource! Not only is the information helpful, but the recipes are also pretty great. If you click on this link to buy the book, you are using an affiliate link that provides credit to me for the recommendation 🙂 Always appreciated! 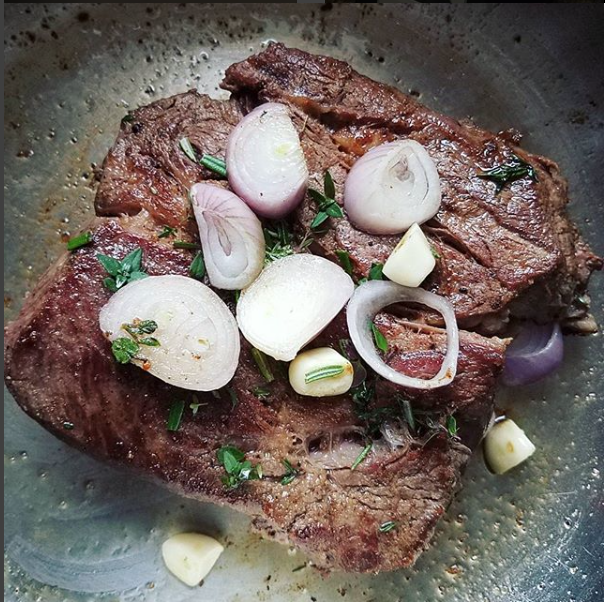 I have read about pros and cons of having keto recipes regularly, but then I want to lose weight and stay fit, so I won’t mind to try them frequently.